MANILA, Philippines - A Brown Co. Inc. (ABCI), through its wholly-owned subsidiary Peak Power Energy Inc., has entered into an agreement with a South Cotabato Electric Cooperative for the construction and operation of a bunker-fired power plant in the province. In a disclosure to the Philippine Stock Exchange, A Brown said it has entered into a power supply and transfer Agreement (PSTA) with South Cotabato II Electric Cooperative Inc. (Socoteco II). Under the agreement, Peak Power will build-operate and maintain-transfer a 20.9-megawatt bunker-fired power plant in the franchise area of Socoteco. The project is part of the firm’s efforts to help address the power crisis in Mindanao, Peak Power president Roel Castro said. 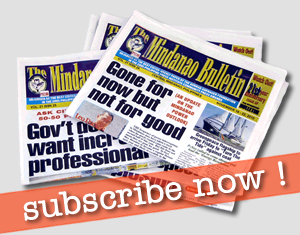 “This decision to build power generation facilities is our way of contributing a solution to the power problem in Mindanao,” Castro said. Socoteco, for its part, considered the project beneficial to its operations. “We found the contract advantageous to the electric cooperative, given the reduction in our supply contracts with National Power Corp. (Napocor) and a huge peaking requirement,” said Socoteco II board president Elenito Senit. The National Grid Corp. of the Philippines (NGCP), the operator of country’s power transmission highway, said the Mindanao grid currently has a generation deficiency of 170 megawatts. ABCI hopes to assist power customers maintain their desired level of economic activities by putting up the needed power capacities especially during peak hours. Socoteco II supplies electricity to South Cotabato, Sarangani and Gen. Santos. ABCI, meanwhile, is a publicly-listed corporation with major interest in real estate, infrastructure development, agribusiness and investments in listed companies. Its subsidiary Palm Thermal Consolidated Holdings is the developer of the 135-MW coal-fired power plant project in the province of Iloilo. Peak Power Energy, Inc. is ABCI’s newly incorporated subsidiary for its energy investments. 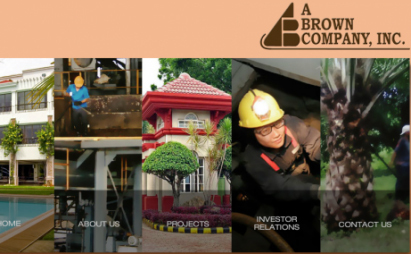 Aside from energy and its palm oil business, ABCI also owns Brown Resources Corp., which owns and operates hotels and apartments.